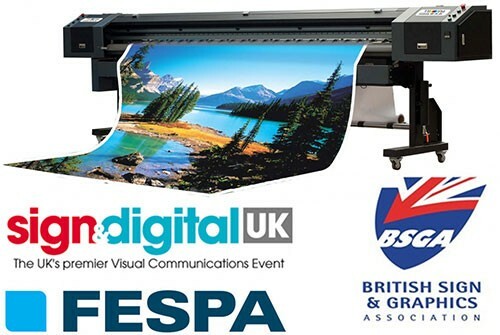 We have built a wealth of experience supplying all sizes of banner manufacturer, whatever your company’s size we can provide cost effective quality solutions that work, helping you to reduce your costs and simplifying banner manufacture. Whether you make only a single banner a week or 1000′s we can help! We’re now selling a limited range of products online, please click here to visit our webshop. Self-piercing eyelets; For low to medium volume work, quick and easy to insert with simple equipment. PolyGroms™; These are polycarbonate eyelets which allow easier recycling of the entire banner and the transparent version are also nearly invisible. Our popular range of eyelets used with our HP450 and small pneumatic machines. They feature an embossed face and come in standard bags of 500. SP09 #2 9.5mm 0.370" 19.1mm 0.750" 5.8mm 0.228"
SP11 #3 11.5mm 0.453" 25.3mm 0.996" 6.3mm 0.248"
SP16 #5.5 16.5mm 0.650" 28.5mm 1.112" 6.3mm 0.248"
PG12 12mm 0.472" 25mm 0.984" 9mm 0.355"
Taken from our standard range of sail eyelets these are commonly used for banners and inserted by automated machine. Can be useful in woven material or cloths. Taken from our standard range of grommets they can also be inserted by fully-automatic machines. Ideal for tough jobs where severe weather exposure is expected. As a manufacturer of eyelets we are not at the end long supply chain where the original source is always changing, if you buy an eyelet from us today you will get the same eyelet from us when you re-order. Brass is better than steel because it will not rust, even electro-plated steel will still rust when exposed to wet weather, ruining your banner. 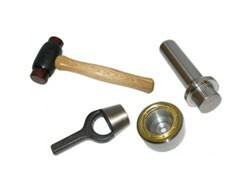 Brass is also more malleable than steel and easier to insert with a manual machine. What is the most common size eyelet used in banners? Between 9 and 12 mm, our most poular eyelet is the SP11. 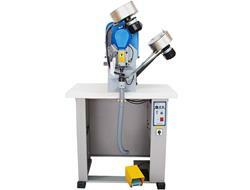 With a setting machine, either manual or powered the end result is the same. 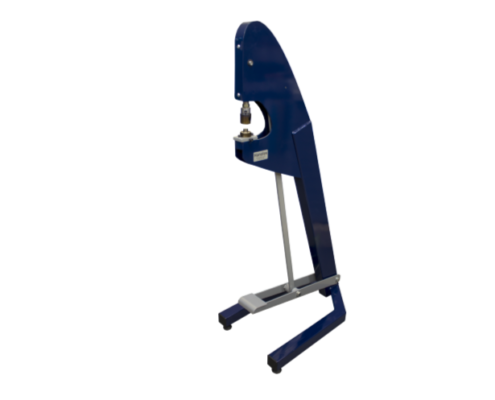 The machine re-shapes the eyelet barrel and grips the material to reinforce the hole. Can you help hem the banners? Yes, we supply hemming tape and other items to such as bungees and cable ties to complete your banner. 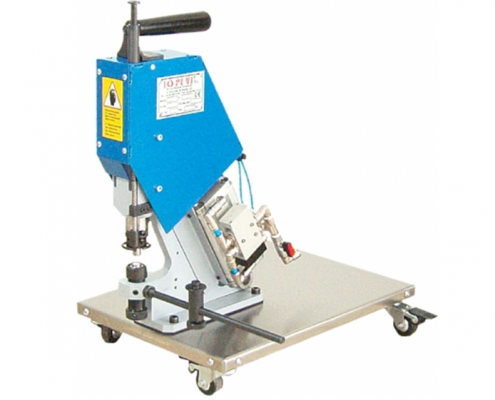 We have a great range of cost effective, easy to use manual presses and hand tools ideal for banner manufacture. For larger scale manufacture our range of powered machines both electric or pneumatic will automate the process and speed up production. 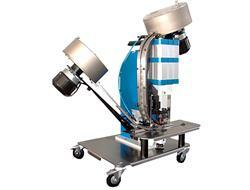 We can also produce bespoke solutions to suit all sizes of production. For self piercing eyelets and PolyGrommets up to 17mm hole size Our premium hand press for banner makers, fits metal and plastic eyelets, engineered to be easy to use. 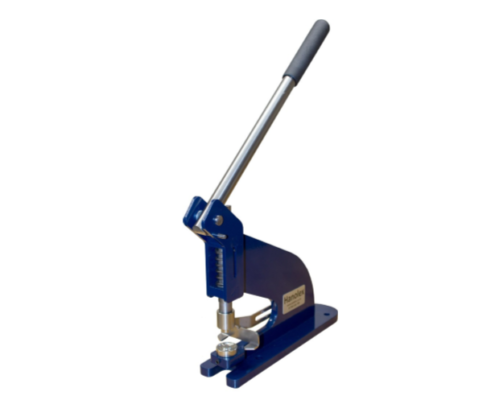 For eyelets & grommets up to 13mm hole diameter A low cost, versatile range of treadle operated machines that can be used with a variety of eyelets. Specially made for our PolyGrommet range of plastic eyelets Pneumatic operation takes the effort out of high production runs. Special dies cut the material and set the plastic eyelets. For sail eyelets & grommets up to 16mm hole diameter Advanced mechanism effortlessly copes with most materials. 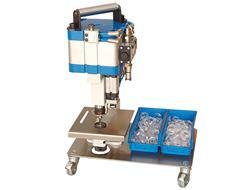 For eyelets up to 12mm hole diameter Pneumatic machine for PolyGrommet™ plastic eyelets. For large eyelets & grommets up to 17mm hole diameter An electric machine, punches a hole and inserts the eyelet and washer in one single operation. Our new range of media racks for the wide format industry for holding vinyl or print media. 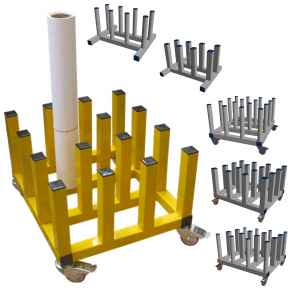 Manufactured from tough powder coated steel and using quality components they come fully assembled and ready for use. 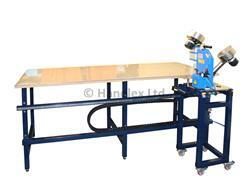 Our new range of applicator tables offers a better way to apply self-adhesive films and application tape. We stock a great range of both types of display. 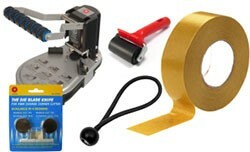 Banner tape, bungees, cable ties, corner rounders and more etc.